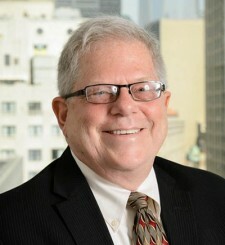 Phillip J. Benoit has been a Certified Public Accountant since 1974, and is a member of the American Institute of Certified Public Accountants. Mr. Benoit received his BBA from Ohio University and is a National Tax Practice Institute Fellow. Mr. Benoit has lectured nationally on issues of estate tax preparation and administration and was recognized with the 2000 National Association of Enrolled Agents Excellence in Education Award. Mr. Benoit works in all areas of taxation and representation, concentrating in the areas of individual, estate and trust taxation and return preparation.